Lee’s legacy has long been solidified. 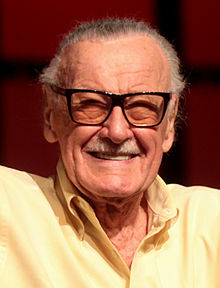 In his time as the president and chairman of Marvel Comics in the early to mid-1960s, he co-created superheroes including Spider-Man, the Fantastic Four, Black Panther, Iron Man, the X-Men and the Avengers, characters which now dominate pop culture and headline multi-billion-dollar film franchises. The Marvel Cinematic Universe alone has grossed nearly $18 billion globally while turning Lee’s creations—and Lee himself—into household names. The comics’ legend, who pocketed $10 million in Marvel’s $4 billion sale to Disney in 2010 and cameos in almost every Marvel blockbuster, is estimated to be worth between $50 million and $70 million. He is an icon, as revered among comic-book geeks as the fictional crusaders he helped invent. He was also a regular, reliably charismatic fixture of the convention circuit until the aforementioned bout of pneumonia that sidelined him earlier this year. Posted on October 9, 2018 October 9, 2018 by NeelabhPosted in Cinema, Personality, Pop CultureTagged Stan Lee, The DailyBeast. Previous Previous post: The Peter Principle is a joke taken seriously. Is it true?